Happy Friday! How is it already March 18th? Seriously, time is absolutely flying by and I can hardly keep up. 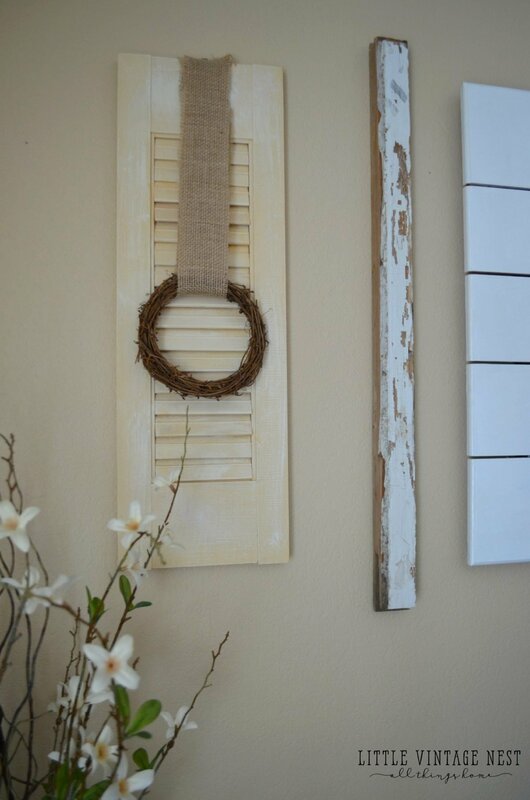 Today I am sharing an easy shutter upcycle project using a pair of thrifted shutters I found for only $3 each. I’ve actually had these sitting in my closet for a few months now, just waiting on a makeover. I finally pulled them out and did this whole project in about 30 minutes. Easy peasy! 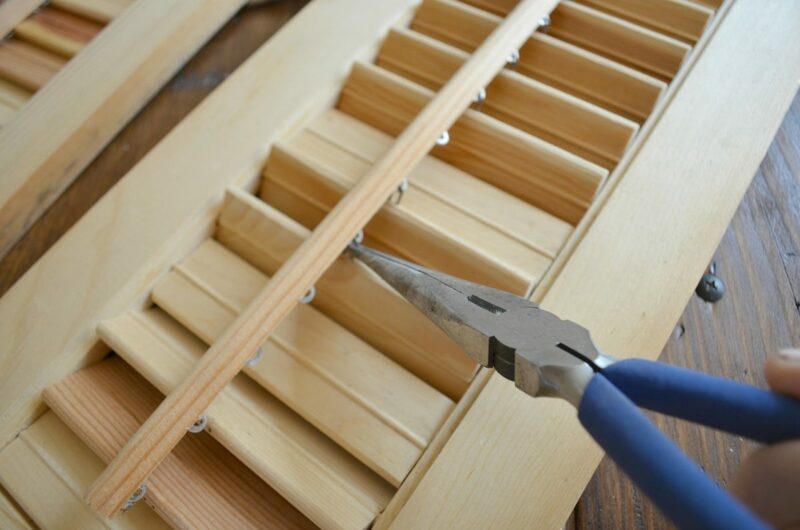 So I will warn you now, this project is super quick and easy. You might even read this and think, “ok Sarah, you made an entire blog post out of this? 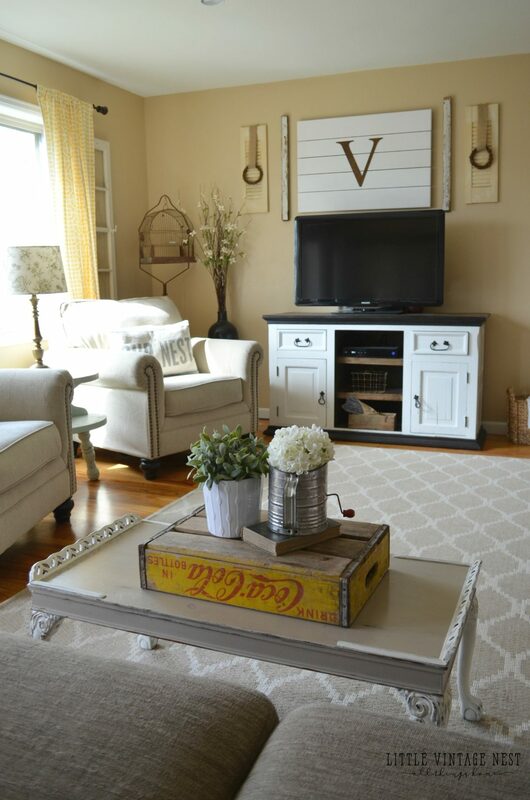 !” But my goal here is to show you that decorating your home doesn’t have to cost a fortune–especially if you’re into the vintage farmhouse style like I am. 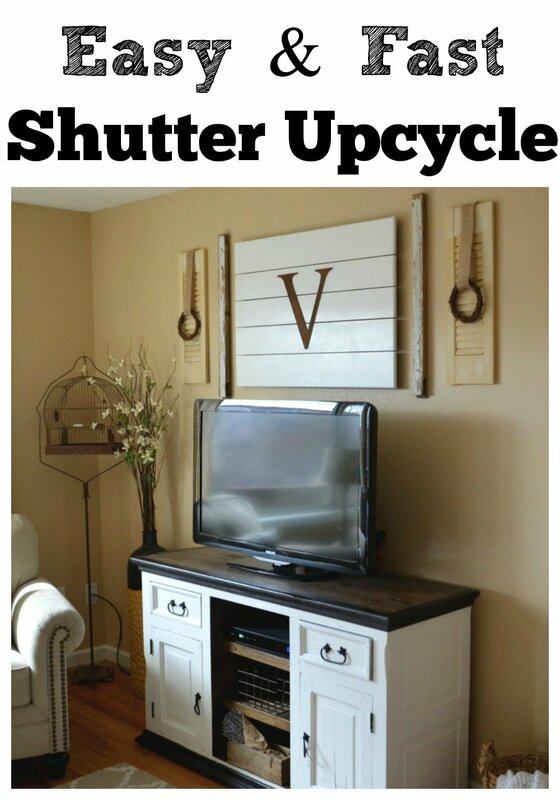 I just hope this gives you a few ideas if you have shutters sitting around or you maybe even come across a few at a yard sale this summer. Here they are before…in all their glory! I used a pair of needle nose pliers to take off the little tilt bars. My vision was to put these on the wall with something hanging on the front, so these needed to be gone. They came off easily. Done and ready for paint! 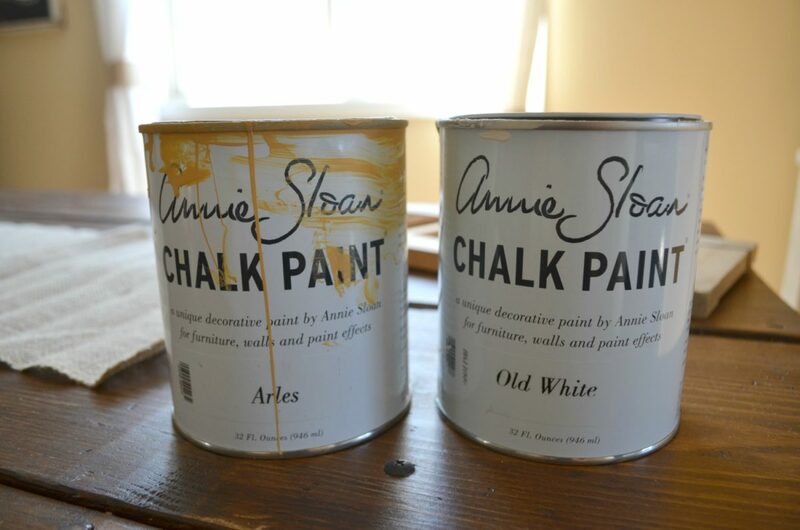 I wanted the shutters to have a soft yellow color, so I mixed Annie Sloan Arles and Old White. As you can see it was about 2/3 Old White with about 1/3 Arles. I also added in a tiny splash of water. 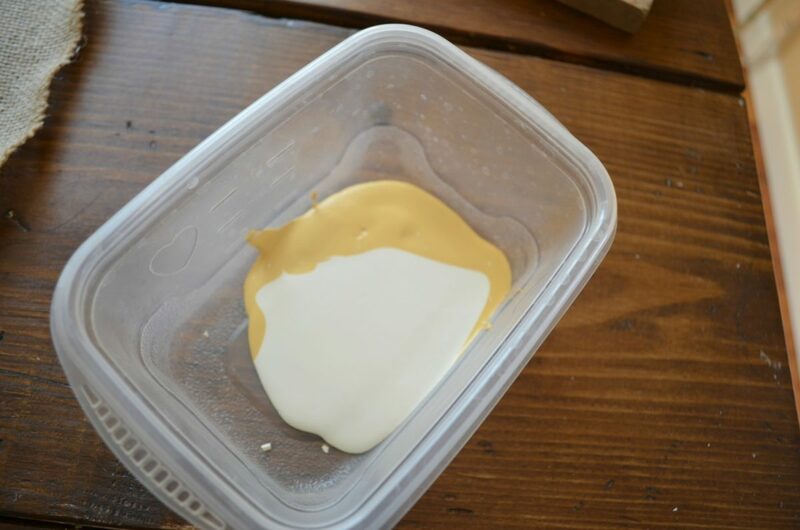 The end result was a soft, creamy yellow. 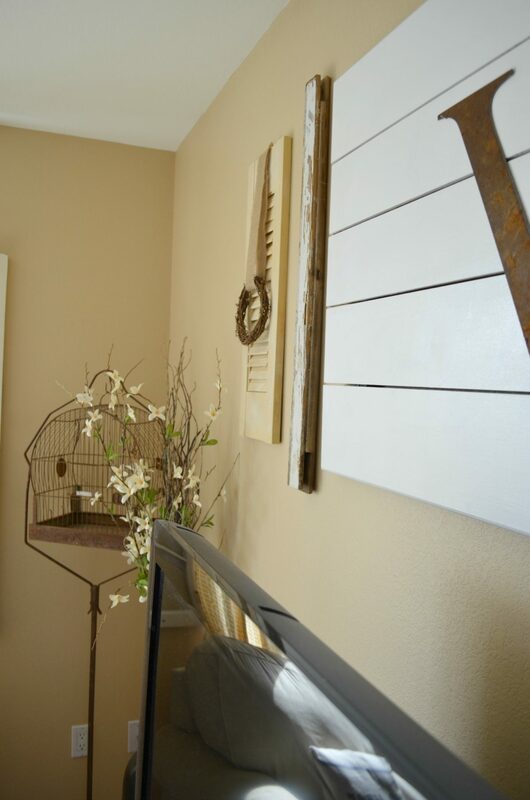 I actually really liked it, although it wasn’t all that different from the color the shutters were to begin with! 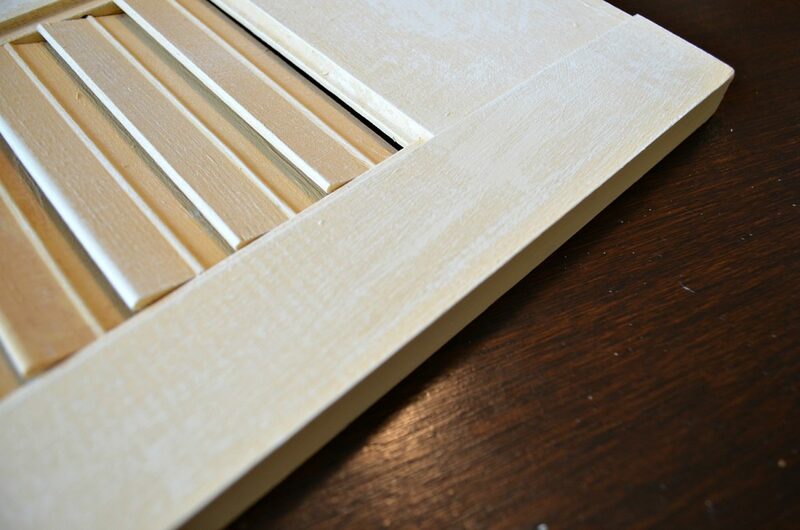 After I painted the shutters I went back in and did a little drybrushing with just the old white. 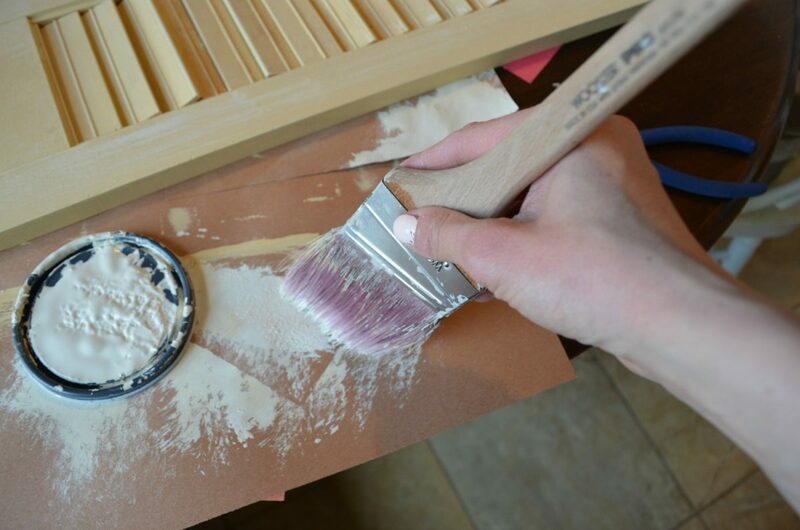 I was pretty lazy and just used the excess paint on the lid, with a clean brush, and then dabbed the brush on a piece of construction paper before lightly brushing it over the shutters. This just added a little bit of dimension. It’s hard to see in the photo but it actually changed up the look quite a bit. Easy and done! I didn’t even wax them, I figured they were good without it. The whole thing took me less than 30 minutes and I had them up on the wall. Ta-da! 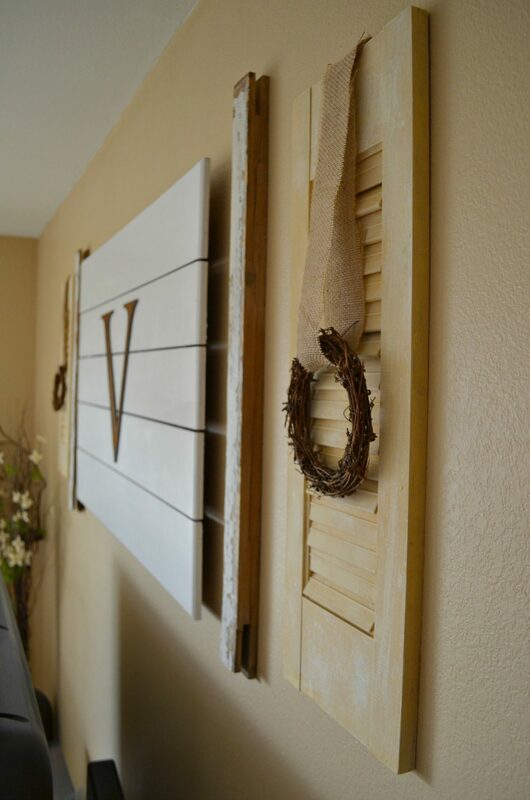 I’ve had these little wreaths on the pair of old windows in our living room for a while now, so I switched it up and put them on the shutters for a bit of texture and color. And if you’re curious about the wood planks in the middle, those are actually from an old window. 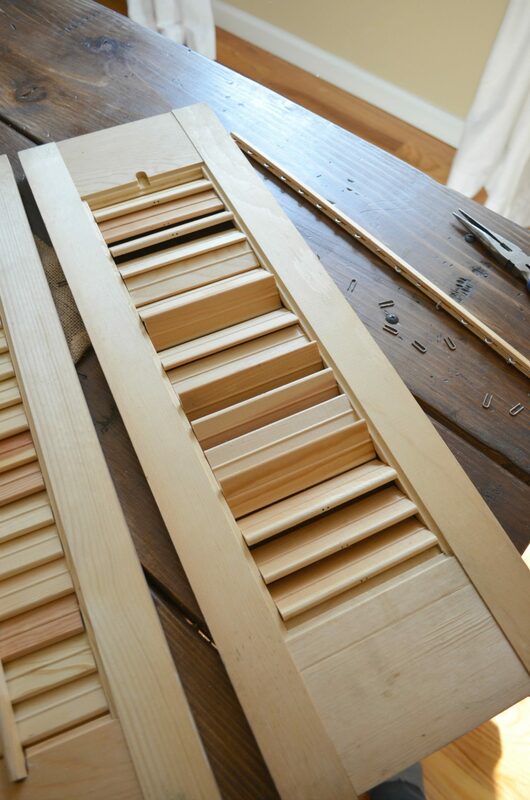 I took it apart and used the sides, top, and bottom of the frame individually. The two on this wall here are the sides of the window frame. This wall has looked a bit barren to me lately, so I really love the way these little shutters filled in the dead space. Such a quick and easy fix! That is really interesting, You’re an overly professional blogger. I have joined your feed and look forward to in search of extra of your excellent post. Also, I have shared your website in my social networks! 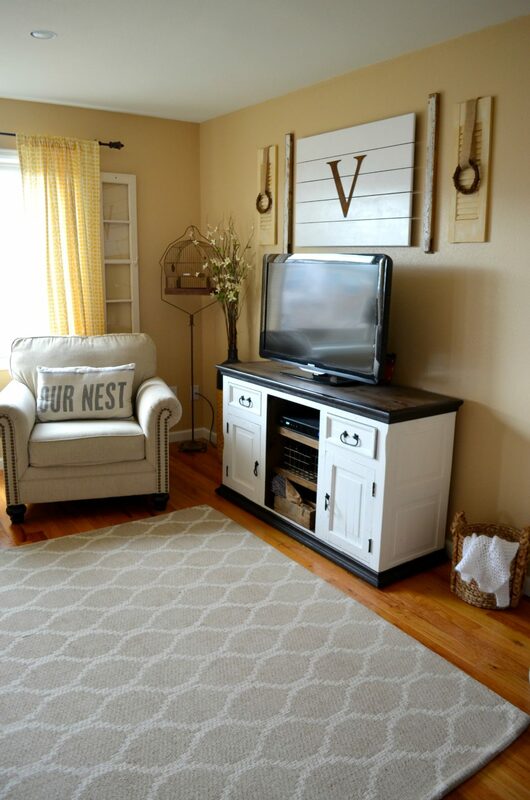 where did you get your tv stand?!? I’ve been looking for something exactly like it and can’t seem to find one! Hi Kristi, it’s from https://www.afwonline.com. I actually painted the bottom white. You might be able to find a large dresser and do the same thing. 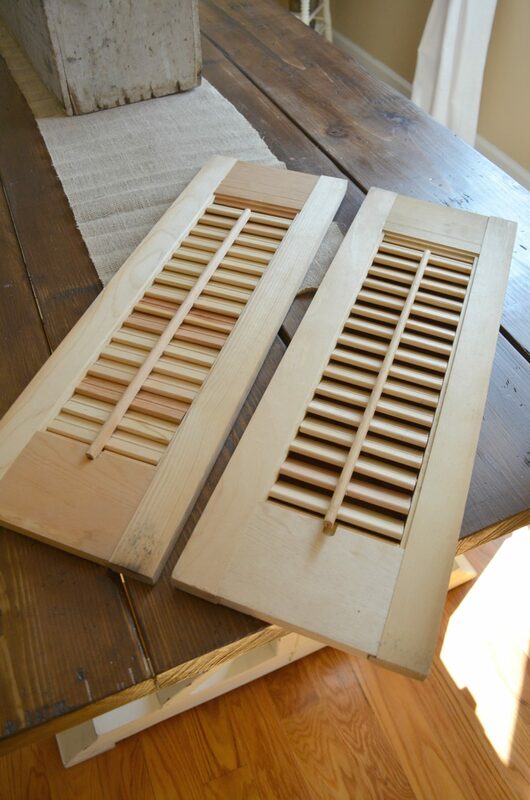 Even if you have to buy new shutters for this project, I am sure you will be just as happy with the results. 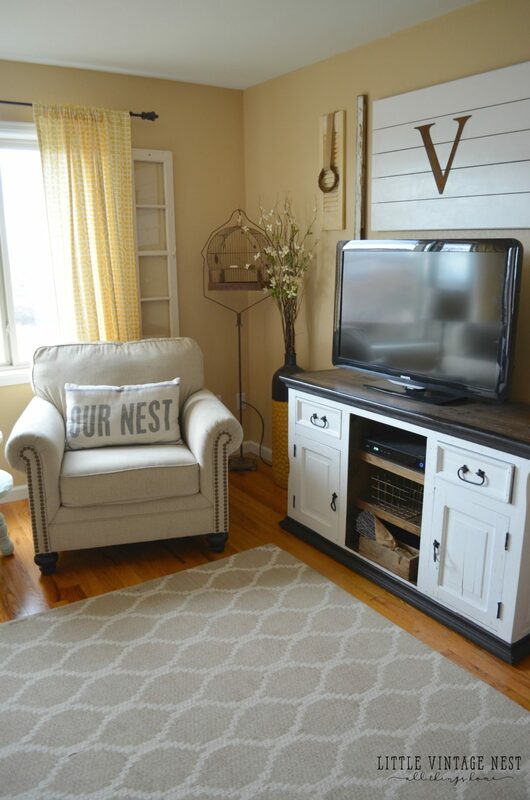 I love how this project of yours really added character to your living room. 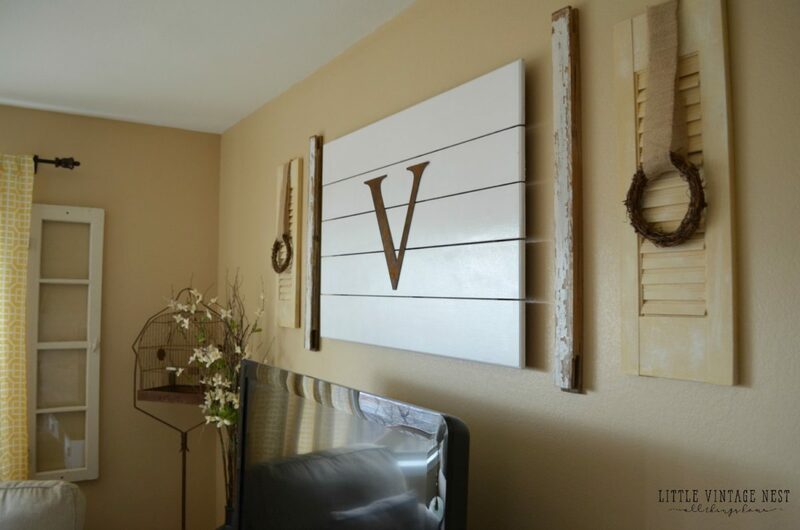 It adds such simple, yet eye-catching decor. 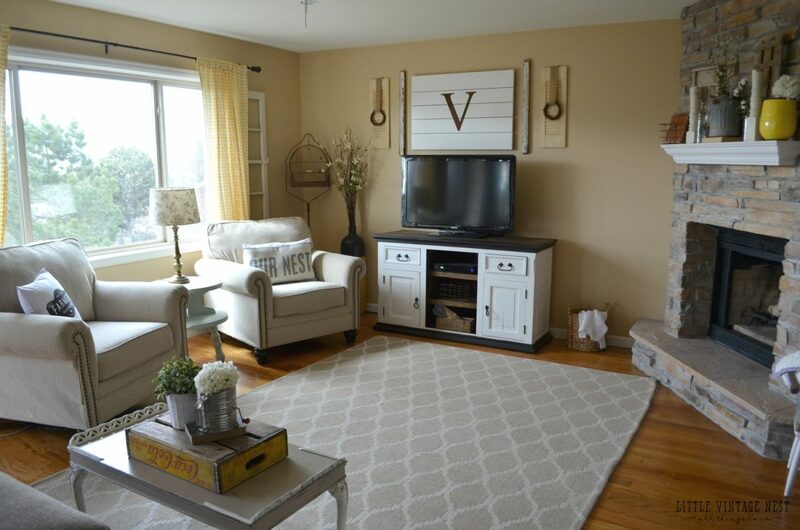 Your living room definitely benefited from it!